Pregnancy is a time of incredible change within a woman’s body. Her posture, spinal curves and centre of gravity alter to accommodate the growing foetus and the extra 20 lb plus of extra weight.Hormonal changes cause ligaments to soften, which is necessary for the pelvis to be able to open to allow the safe passage of the babies head – but this softening can also be problematic as it’s easier to injure yourself. Back and pelvic pain are not a “normal” part of pregnancy. The body if aligned has the ability to cope with the extra stresses and postural strains relatively pain free. Pain is a sign that the body is having difficulty adjusting to a new position usually due to previous spinal and pelvic problems that may have been symptom free before pregnancy, but are now causing discomfort. 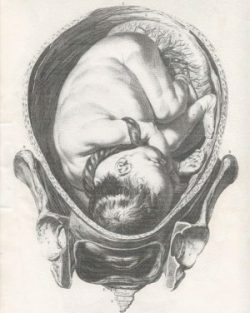 Osteopathy may help relieve the stresses and strains on your body during pregnancy by realigning the pelvis and spine, this also helps with optimal foetal positioning, as the uterus is attached to the inside of the pelvic bones so any twists or imbalances will translate to the uterus, which could lead to it being abnormally tipped back / forwards. Our aim is to help the expectant mother to have a comfortable pregnancy and a positive birth experience with minimum intervention. 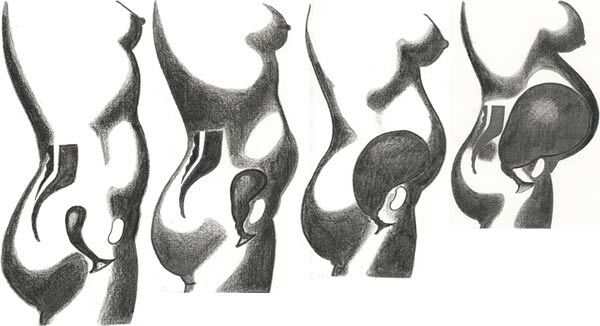 A pelvis and spine that is balanced with all of its joints freely moving allows the pelvis to open fully during labour therefore creating more space for the baby to pass through. We recommend to any woman wanting to become pregnant to have a thorough musculoskeletal check up, if there has been any history of back or pelvic problems as they can become much worse when the ligaments loosen and they are carrying the extra weight of the baby. Spend time each day on all fours this position makes it easier for a baby to turn to the correct position. Don’t slouch on the sofa or car seat! Make sure you sit on your “sit bones” located in your buttocks. If you slouch back so that the weight passes directly onto your sacrum your baby will assume the back to back position very easily. This position can lead to a very uncomfortable birth. Keep active. The more you move around the more your baby will. Quentin Shaw the principal osteopath specialises in treating this condition. It is a very complex condition of the pelvis which challenges most osteopaths and physiotherapists. Quentin is recognised by many doctors, midwives and obstetricians for his work. This can be an extremely painful and debilitating condition, quite often under diagnosed or just dismissed as normal pregnancy pain! Leg aches / back aches / Headaches / fatigue/ varicose veins.